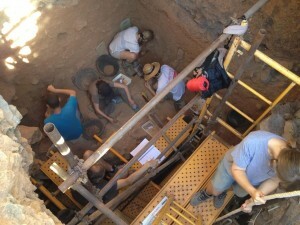 Following official registration in Murcia of our Association on June 27th 2012, the first official MUPANTQUAT activity took place during our excavations at Cueva Negra del Estrecho del Río Quípar on July 19th 2012. It took the form of a reception with invited guests held at a nearby hotel for Professor Bernard Wood of George Washington University who was invested as the Association’s first Honorary Member, accompanied by a preview of the animated documentary film “Cueva Negra” produced by the public Murcian Integra Foundation, the scientific basis for which was provided by our excavation findings at Cueva Negra. 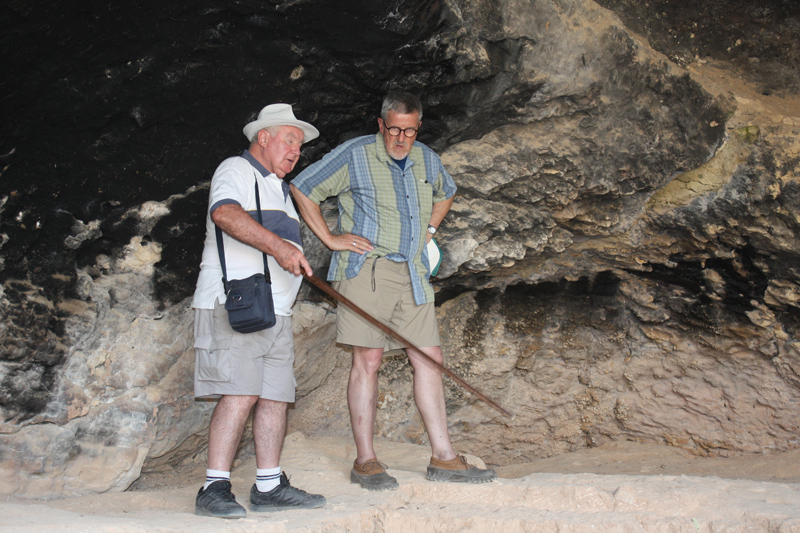 The excavations and research of MUPANTQUAT are the scientific underpinning of the animated documentary film “Cueva Negra”, produced at Murcia by the public Integra Foundation. 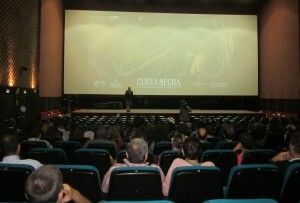 The film was honoured in the 16th Málaga Film Festival of 2013 () by being shown in the festival’s “Animazine” section, which highlights Spanish talent in animated documentary film-making, following its selection for the privilege by President Carlos Biern of Spain’s Federation of Animaled Film Producers. The film can be seen on our web-site and it is freely available in the Murcian Region for showing in schools and other institutions on application to the Integra Foundation. May 20th 2013, Molina de Segura “Las Balsas” Cultural Centre. 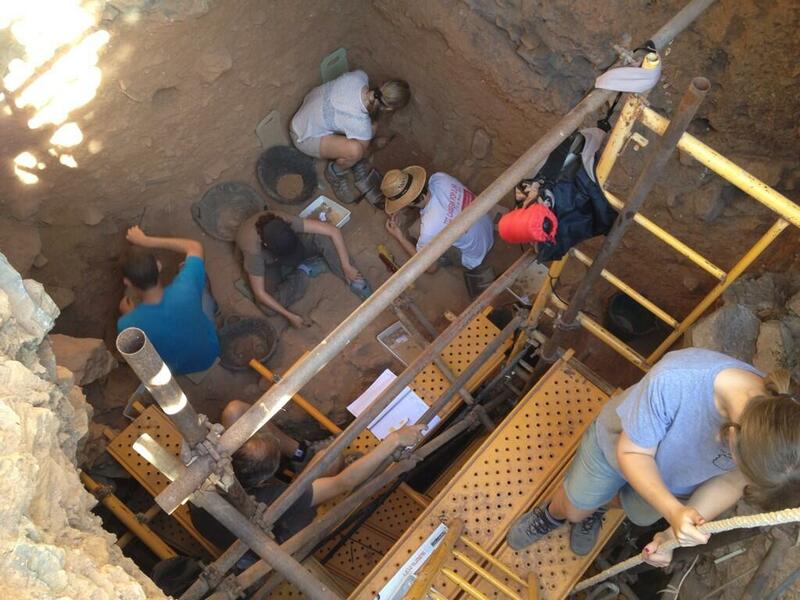 November 29th 2013 (a large group of second-year Murcia University undergraduates studying Prehistory). 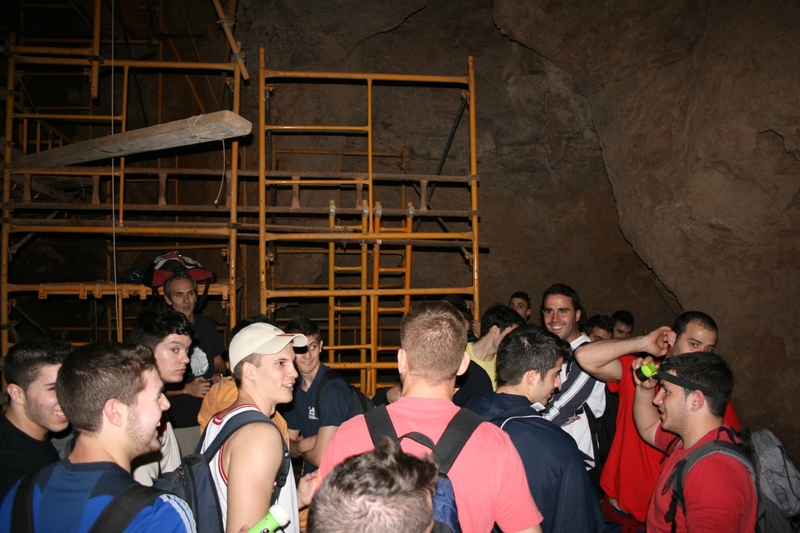 To those we must add the extremely well-attended public visits on our Open Day July 21st 2013 at Cueva Negra and our Open Day August 11th 2013 at Sima de las Palomas when over five hundred people visited the site. Our 6-week excavation campaign from July 2nd to August 13th 2013 was extremely successful; as usual, the first 3 weeks were at Cueva Negra and the following 3 weeks at Sima de las Palomas. We had helpers from Spain, the UK, Sweden, Switzerland, Belgium, Germany, Canada, USA, Hong Kong and Australia. You will find out more about our excavations if you click on FIELD SCHOOL where you will find information about the forthcoming 2014 excavations. The Field School and its excavations are largely self-funded, which has permitted them to take place year after year despite lack of public funding. Our self-funded Field School seems to be the best way forward that we have found to date to advance our aims. 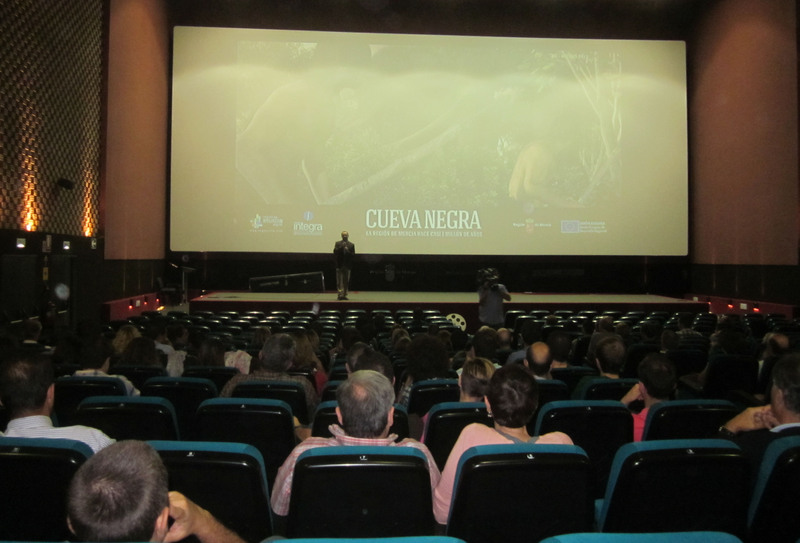 Growing interest in our activities has been stimulated both by the “Cueva Negra” animated film and most particularly by the considerable space and attention devoted to Sima de las Palomas in the scientific documentary film “Decoding Neanderthals” shown by PBS-NOVA in the USA on January 9th 2013 (you may be able to see this on our web-site or else try going to http://video.pbs.org/video/2323758207) made by London-based “Arrow Productions” which filmed with us at the site. Unfortunately the economic crisis in Spain led to cancellation of some public projects we had hoped to carry out. 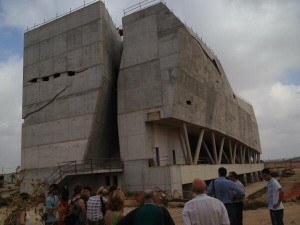 On January 8th 2013, during a visit to the newly constructed building that will soon house the Murcian Regional Museum for Palaeontology and Human Evolution below Sima de las Palomas, MUPANTQUAT acceded, albeit with some misgivings, to a request to run a 5-day course about the site and its Neanderthals. It was to have been held in May under the auspices of the local Torre Pacheco town council and Murcia University’s “UniMar” department that runs summer school courses, because together they had agreed to support courses at that town near the site. 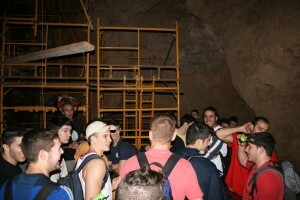 However, “UniMar” was unable to attract the minimum number of students required for it to allow the course to go ahead, despite charging them only a modest 80-euro attendance fee; nor yet could it do so after we agreed to its request to postpone the course to September in the hope of more enrolments. Our Association is disappointed and frustrated, having spent much time and effort in arranging, and then rearranging the course, the lecturers and instructors, and holding numerous meetings with the institutions. It was time and effort that with hindsight could better have been devoted to organizing other less demanding events and activities. As a last resort, MUPANTQUAT and Torre Pacheco town council entered the course, unsuccessfully, in a national competition for Spanish government sponsorship of the public diffusion of science, sponsorship much restricted in 2013 by the severity of government budgetary cuts. At the root of these frustrating experiences is the dire economic situation of public finances in Spain. We repeat: our self-funded Field School is undoubtedly the best way forward that we have encountered to date. Among other matters to which we have had to devote time and energy in 2013 mention must be made of institutional agreements of collaboration and cooperation that we have signed with Murcia University, the Murcian Archaeological Museum and the Murcian Regional Geographical Society and other associations. Developing the exact terms and precise clauses that are to be annexed to the Agreement of collaboration with the Murcia University is also involving numerous interminable meetings with university administrative officers. Because the aims of MUPANTQUAT include both scientific research and public diffusion of scientific knowledge, another matter that at present is occupying much of our members’ time is the packaging and temporary storage of all the finds excavated at Cueva Negra and Sima de las Palomas so that they can be transferred from their present location at Murcia University’s Physical Anthropology laboratory to the future Murcian Regional Museum for Palaeontology and Human Evolution below Sima de las Palomas as soon as its store-rooms, laboratories, and exhibition rooms have been fitted out and equipped to house them, hopefully during 2014. We hope, very soon now, to put in the hands of our printers the Spanish edition of a profusely-illustrated popular-science book about our excavations and research at Cueva Negra and Sima de las Palomas, called in English “How the Earliest Cave-Folk of South-East Spain were Dug up”. MUPANTQUAT is itself the publisher of the Spanish edition and we have had meetings with Oxbow Books about the English edition. We have been fortunate in finding some sponsors to help us defray the cost of printing the Spanish edition which we anticipate will help us to attract new members throughout the Murcian Region and beyond. Preparation of the edition has suffered from delay in 2013 owing to dispersal of our energies in trying, fruitlessly, to organize public courses with Torre Pacheco town council and “UniMar” (see above). Independent initiatives seem to offer a surer way forward. MUPANTQUAT is taking that route, and to help smooth the path we are actively seeking partnerships with business and agreements with independent organizations. We want to expand our horizons and extend the scope of activities in which our members and supporters can fully participate.